Have you been to Costa Daurada yet? If not, this is your chance to see and learn all you need to know about this new and exciting golf destination. Sign up now to join this action-packed famtrip to Costa Daurada! And remember - we are only one hour south of Barcelona! The famtrip is open for all Golf Tour Operators. A limited number of places are available and the places will be allocated at the discretion of the Costa Daurada Golf Association. 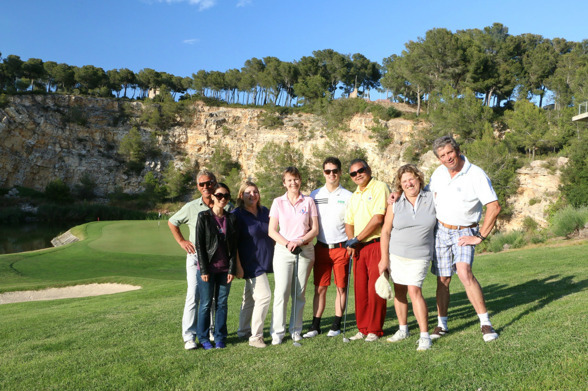 During the famtrip you will play at least 2 of our best courses and visit 3-4 more courses. You will also inspect the majority of our associated hotels and try our local wines and gastronomy! This great famtrip is offered to you free of charge but you will have to arrange your own flight to and from Barcelona (or Reus).